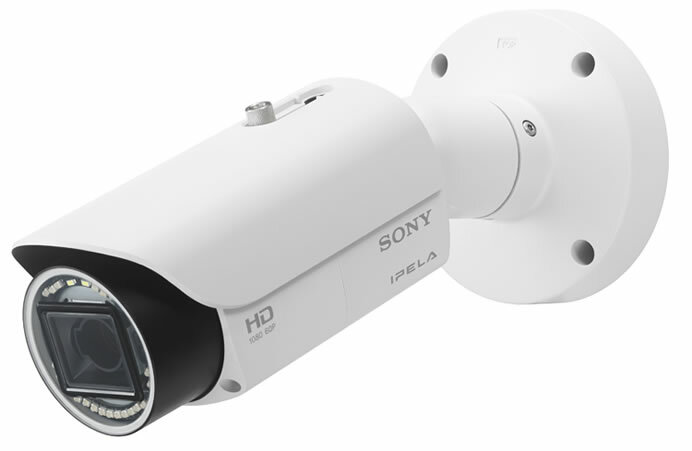 Sony’s latest outdoor IP camera- SNC-VB632D is a full HD infrared bullet camera with a dual lighting system featuring an infrared (IR) illuminator and a white LED illuminator. The camera can be configured to automatically switch from IR black and white mode to LED color mode when motion is detected, enabling it to generate clear video under dark conditions in either black and white or color. The SNC-VB632D is an ideal all-in-one camera for transportation, city surveillance and other complex environments. It supports high-performance illumination through the IR illuminator, up to a range of 30 meters in black and white, with a minimum illumination of 0 lux (0.1 lux for color) at 50 IRE. Sony will showcase the SNC-VB632D at the ASIS 2014 60th Annual Seminar and Exhibits. The SNC-VB632D is expected to be available through Sony’s product distribution channels in October 2014.